The recent tradition of NECA Christmas releases continues with their latest figure. Their Elf – Buddy The Elf 8″ Scale Retro Mego Style Figure is available now on the NECA eBay Store and the NECA Amazon Store. The figure includes some great movie themed accessories. The figure won’t be available on toy shelves until mid-September, so this gives fans a chance to grab it quite a bit earlier. The figure is priced at $30.99 plus shipping. 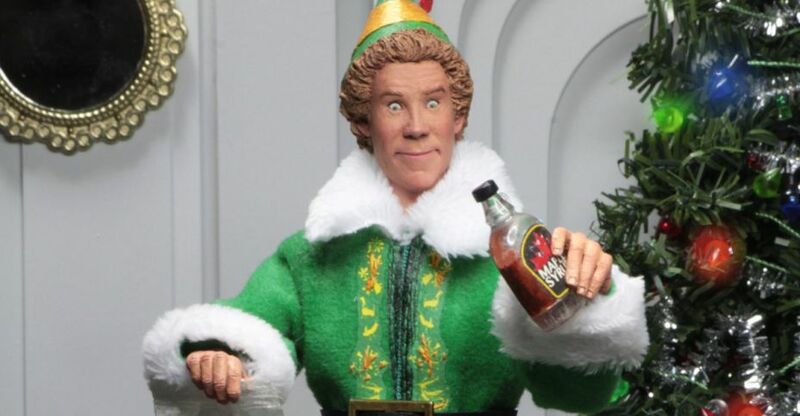 From Elf, the 2003 comedy starring Will Ferrell that’s become a holiday tradition, Buddy joins NECA’s line of clothed action figures! Buddy stands 8” tall and is fully articulated. He’s dressed in the bright green elf attire that he’s worn his entire life, and comes with a snow globe, a bottle of maple syrup, and some delicious spaghetti breakfast leftovers. Window box packaging. 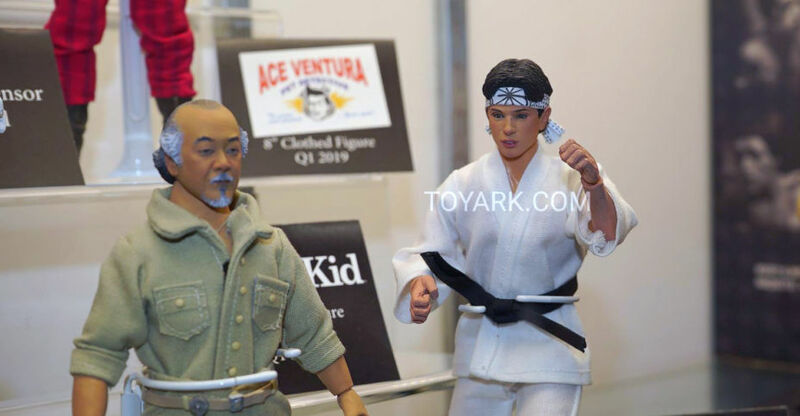 NECA had some really cool 8″ Scale Mego Style Figures on display at San Diego Comic-Con 2018. Included are Karate Kid, Ace Ventura and the Golden Girls! 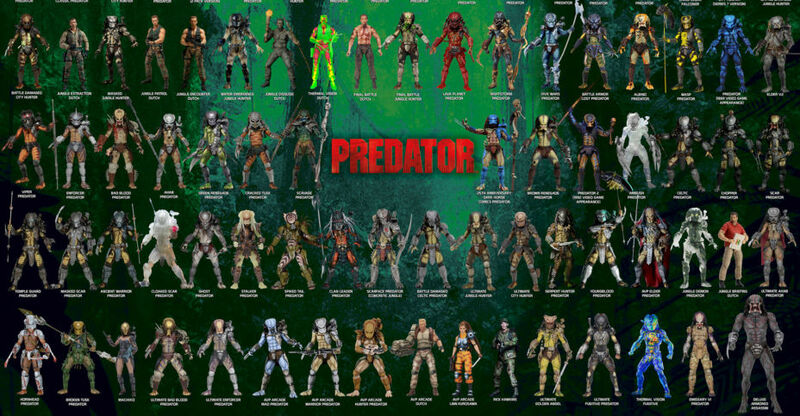 As is tradition now, NECA is prepping for a cool surprise Christmas figure release. In the past, they have done Home alone, A Christmas Story and National Lampoon’s Christmas Vacation. Now they have revealed the release for this years holiday. 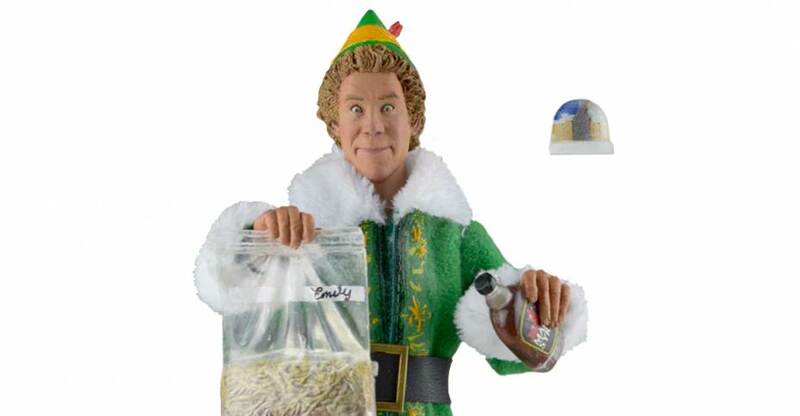 Check out their Elf – Buddy The Elf 8″ Scale Retro Mego Style Figure. The figure includes some great movie themed accessories. Look for this to hit shelves in November. Read on for the photos. Buddy stands 8” tall and is fully articulated. He’s dressed in the bright green elf attire that he’s worn his entire life, and comes with a snow globe, a bottle of maple syrup, and some delicious spaghetti breakfast leftovers. Resealable clamshell packaging.